As the temperature falls outside, everyone is turning up the heating indoors. This increase in average indoor temperature leads to an corresponding increase in the incidence of condensation, which is one of the most common causes of damp within structures. Reducing this risk can be achieved in a number of ways and helps to prevent damp problems before they can occur. The air around us is full of invisible water vapour. Just how much vapour the air can hold is directly correlated with air temperature: the warmer the air becomes, the more vapour it is capable of holding. As warm, vapour-loaded air circulates around a property, it can come into contact with cool surfaces such as walls or windows. When this happens, the vapour condenses into liquid water, which can easily penetrate porous woodwork and masonry to damage the underlying structure and provide the ideal environment for the growth of unsightly and unhealthy mould. In the domestic situation, most of the water vapour originates in kitchens and bathrooms and so it is essential that such rooms are adequately ventilated and, if possible, sealed from the rest of the property. One of the biggest contributors to indoor water vapour is the drying of wet laundry on radiators and so this should be avoided wherever possible. Sound insulation is another important factor in the reduction of condensation. Greengate's, as your local builders merchant, is proud to supply a comprehensive collection of damp solutions from insulation to membranes and chemicals. 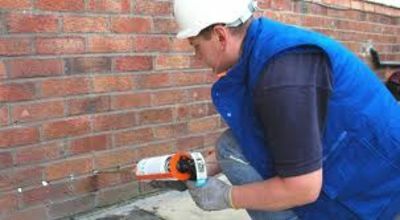 You are guaranteed to receive products of the most professional quality and this, teamed with our competitive pricing structure and intelligent customer service, means that we are the one-stop shop for all your anti-damp requirements this season and beyond. Please browse our full range of damp solutions to find the one that’s right for your situation. Need advice on damp problems? Our expert team are waiting to help you so get in touch today.